Sapwood Cellars is tantalizingly close to our first batch of beer! The only thing left is the delivery and installation of our glycol chiller next week. At that point, we can start brewing in preparation for a September tasting-room opening… which seems close enough to begin hawking our wares! We have enough in the bank to open without a dime from you, but the money generated online will go toward more barrels, fancier hops, and tasting room beautification. Kickstarter frowns on alcohol sales, and that’s most of what we do, so we built our own store with IPAs and sour beer! 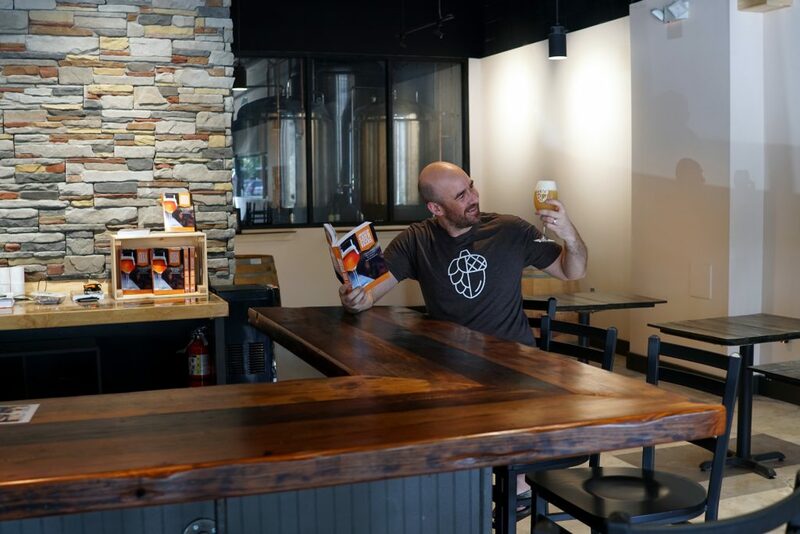 Today we launch all the physical-shippable merch: t-shirts, glassware, and inscribed copies of Mike’s book American Sour Beers! All prices include shipping within the US, no International shipping at this point. Thursday we’ll launch our clubs (Sap for the fresh hoppy beers and Wood for the barrel-aged sours). Both clubs include access to limited beers, discounts, and excitement. For the super-fans out there, we’re offering a combined founders-tier club membership that includes an extra-super-special perk. Tell your friends (or better yet buy them a membership)! Friday we’ll add a variety of unique experiences and events from $15 for web chats all the way to $5,000 to work with you to blend, infuse, and bottle a sour beer to your tastes!